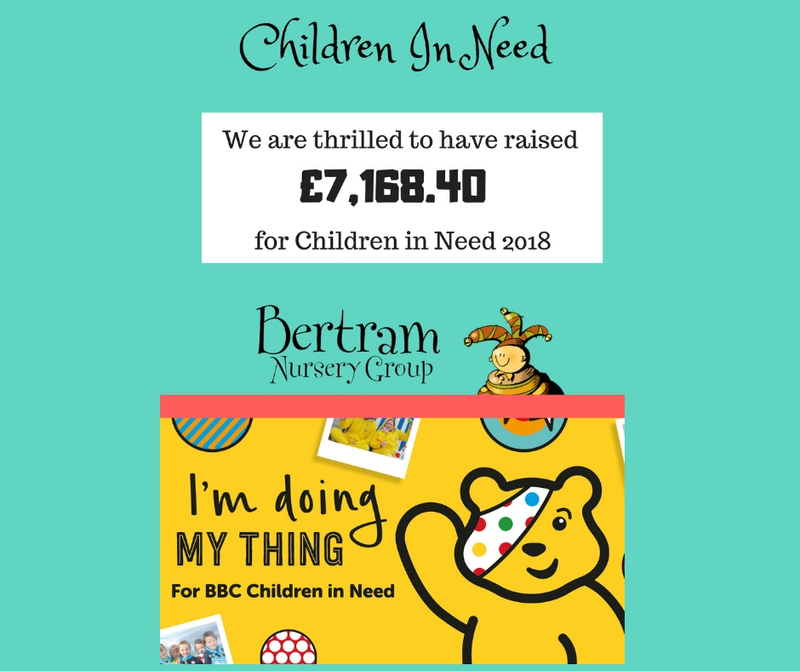 We are thrilled to have raised £7,168.40 for Children In Need for 2018. As a group we would like to thank all of our children, parents, families and staff who have all contributed to this fantastic total. Last year we raised more than £6k, so in two years we are delighted to have raised over £13k for Children In Need! THANK YOU! from everyone @ The Bertram Nursery Group!